This pairing of a pink vertical striped dress shirt and white chinos is so easy to pull together in no time, helping you look awesome and ready for anything without spending a ton of time digging through your collection. Amp up the cool of your look by wearing brown suede tassel loafers. 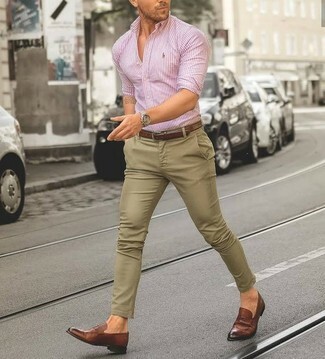 This pairing of a pink vertical striped dress shirt and beige chinos is very easy to make up without a second thought, helping you look dapper and ready for anything without spending a ton of time digging through your closet. 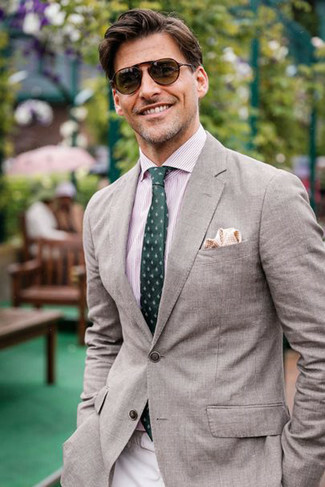 For a nothing less than incredibly stylish look, dress in a Stefano Ricci contrast collar striped dress shirt pink from Neiman Marcus and a brown wool suit. Opt for a pair of tan leather derby shoes for a more relaxed feel. This combo of a Stefano Ricci contrast collar striped dress shirt pink from Neiman Marcus and olive corduroy chinos is very easy to pull together without a second thought, helping you look on-trend and ready for anything without spending too much time rummaging through your arsenal. 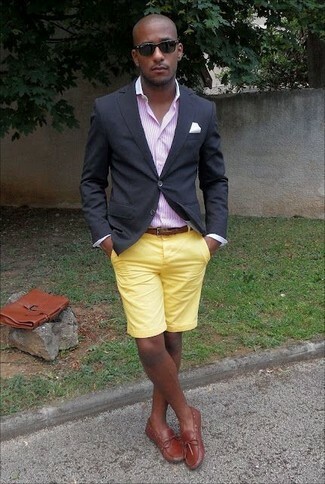 When it comes to shoes, this look is complemented perfectly with brown suede desert boots. 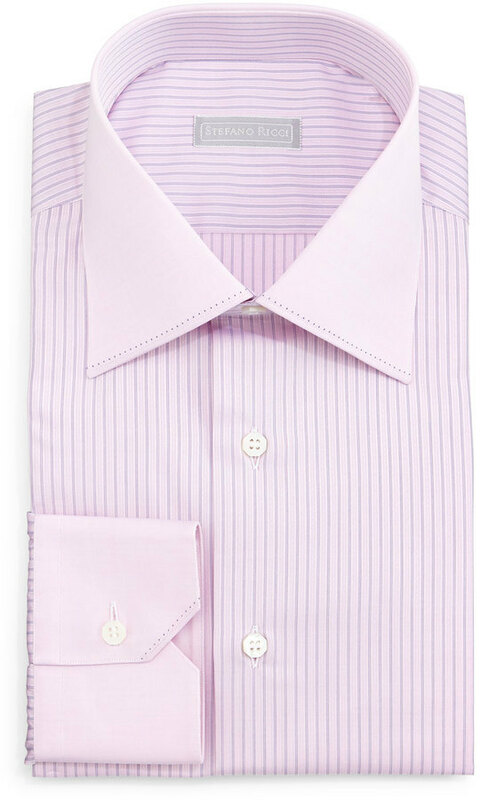 For a smart casual getup, team a Stefano Ricci contrast collar striped dress shirt pink from Neiman Marcus with khaki chinos — these two items the place of work really well together. 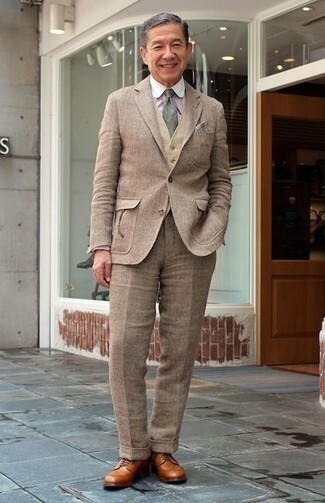 When it comes to footwear, this getup is complemented wonderfully with brown leather loafers. 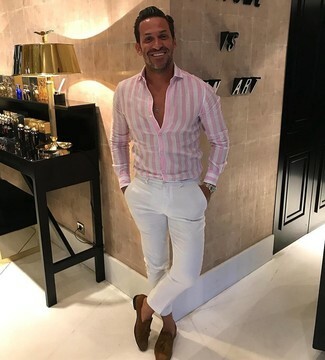 For a casually elegant outfit, dress in a Stefano Ricci contrast collar striped dress shirt pink and yellow shorts — these two items fit perfectly well together. For a more relaxed take, choose a pair of tobacco leather boat shoes. 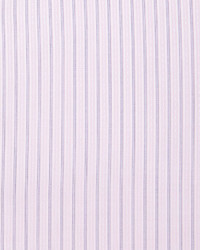 This combination of a pink vertical striped dress shirt and grey dress pants oozes masculinity and refined elegance.